View the latest blog posts from IPS / Lighthouse Insurance Group. The goal of commercial auto insurance is to minimize your risks. You use it to help if there is an incident. However, it is up to you to make sure your drivers are safe. With new tech, there are increasing ways to improve your overall safety and to reduce risks. GPS tracking is one of those tools. It allows companies to have far more protection in place. How can it help you? Today, many drivers are spending more hours on the road than ever. If you are a trucking company, your drivers may have to abide by laws that require on-and-off time. However, even if you just have delivery drivers, you need to consider drive time. The more hours an employee is behind the wheel, the higher the risk is for injuries and accidents. With GPS tracking, you gain some insight into this. Some units allow you to track how long your driver is moving – such as driving. It can provide you with insight into whether drivers are operating the vehicle for too many hours at a time. This can help you to know if they are taking breaks or sleeping long enough between long shifts. If the driver gets to a destination too soon, that could indicate he or she is speeding. It could also signal your driver is operating without enough breaks or caution. This increases your risks. A GPS tracking device can also provide you with insight into where your vehicle is. As noted, this can help to ensure the driver is operating in a safe manner. It also helps in managing your equipment. With this type of unit in place, you know where your truck is at all times. If your driver reports someone stole the vehicle, you can work with the police to pinpoint its location. This safeguards your vehicle and the contents. Also important, you can track how the driver is transferring the material. Are they not going where they should? Did the driver stop somewhere he or she should not? This can help you manage your employees while also managing your vehicle. GPS tracking for commercial vehicles is growing in common use. New systems give you more insight and control. Use this information to prove to your commercial auto insurance company how responsible and safe your drivers are and that your vehicles are safe. Want to learn about insurance coverage options for your fleet? Call Insurance Planning Services today at 800-220-5582. Workers' compensation provides financial protection to businesses. If an employee suffers an injury resulting from the work they do, this policy covers some or all of their losses. This minimizes the financial loss your business may suffer. Some states require businesses to maintain this insurance. If so, it is important to have proper protection. Here is where to start. What Factors Apply to Your Requirements? States have different laws regarding workers' compensation insurance. In some states, the requirement is clear - all employers need to maintain a policy. In others, there are limitations. Your first step should be to determine the requirements in your state. Your business insurance company can provide very specific information here. 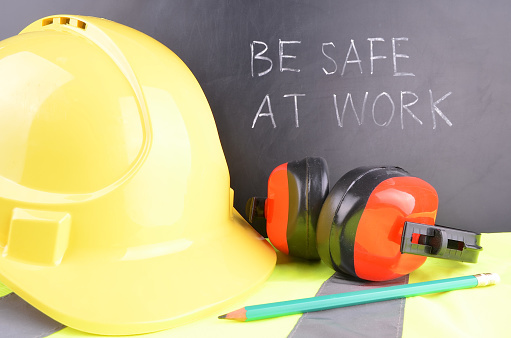 Keep in mind that even if not required, workers' comp can still be a valuable asset for you. It offers protection from financial loss that can amount to thousands of dollars. Some states require workers' comp if the company has more than five, 10, or another set number of employees. Failure to maintain this insurance results in fines. For example, in New York, all companies with at least five employees must maintain coverage. In some states, such as Pennsylvania, if you don't carry coverage, it can result in a felony charge. This includes if you fail to disclose the true number of employees you have. In California, Illinois, Massachusetts, Michigan, and Pennsylvania, failure to carry proper workers' compensation insurance can result in criminal charges. This may mean fines and jail time. Texas is one of the only states that does not require employers to maintain this coverage. However, it does still hold employers liable for employee injuries in most circumstances. Employers therefore should carry coverage. As you can see, maintaining proper workers' compensation insurance is critical. It safeguards your company financially and ensures you meet compliance requirements. If you are unsure if you need workers' comp, call your business insurance agent. Discuss the type of business you run. Talk about the number of employees you have. Think about the risks. Can employees suffer injuries? Could someone get sick? Chances are, the can at any time. Proper insurance is not just about compliance. It is also about keeping your company safe. It does not have to be hard to get this coverage. Most states offer competitive insurance policies. You can find affordable policies that fit your needs. Then, you do not have to worry about an employee injury on the job. If you need workers' compensation insurance coverage, contact Insurance Planning Service today at 734-421-9900. Will My Property Insurance Cover Termite Damage? You strive to keep your business property durable, clean and secure. However, at times, you cannot keep out every pest. Termites might be small, but they can wreak major damage on your business if you don’t control them. If termites create damage, you might wonder if your insurance will pay for their removal and structural repairs? Here are a few more details. Unfortunately, property insurance and termites have a complicated relationship. Therefore, your best bet is to try to prevent termites from taking hold. Most termite infestations happen slowly. They might invade your business over time, and it might take years for noticeable damage to occur. Ordinary operations might continue with no inkling that pests have entered the building. Once you notice termite problems, it might be too late to avoid severe damage. Therefore, you might face countless dollars in repair bills. You might even face a total loss of your structure should the damage prove too severe. Should structural integrity become compromised, it might prove unsafe to even enter the property. Therefore, operations could grind to a halt. If a termite problem arises, you might wonder if your insurance will cover repairs. Unfortunately, you will likely find that property insurance won’t offer any recourse. Property insurance generally only covers unavoidable, unpreventable damage to your property. In most cases, you can prevent termites with vigilance and maintenance. These tasks usually prove relatively inexpensive. Such care therefore usually falls under regular maintenance. Insurance almost never covers standard costs that are your responsibility. Responsible business owners should always undertake regular preventive actions to keep termites out. Doing so can reduce the chances of ever having to file a property insurance claim. One of the simplest ways to prevent termites is to engage in simple pest prevention measures. Have a pest service professional visit your property at regular intervals. They can spray a repellent in and around the space to prevent termites from getting inside. Most services will spray every few months at regular intervals. The ongoing prevention can almost certainly cut termite risks. Furthermore, certain pest services also offer regular termite inspections. Professionals will inspect the structure for signs that termites have slipped past any chemical agents. Your pest inspector can likely catch small infestations before they get worse. Don’t hesitate to call a registered pest elimination service today. It might help you prevent significant termite damage down the road. Also Read: Will Commercial Property Damage Cover All Roof Repairs? If you run a furniture store, you’ll often offer repair services. You might even refinish certain pieces. This might mean working with everything from delicate antiques to malfunctioning contemporary pieces. Clients expect you to make repairs professionally. If you accidentally damage an item, you might place the client (and yourself) in a bind. Why do these risks occur? How can you avoid them? Repairing furniture means you’ll take a client's belongings into your care. You might repair them in your store, or in the client’s home. The client will expect you to do your job professionally. So, if an accident happens, they might want compensation for their losses. You spill a solvent on an upholstered chair, staining and burning it. A fire breaks out in your business, and in the process damages client belongings. An antique piece falls off a work bench, splintering beyond repair. While visiting a client’s home to pick up an item, you accidentally damage an item. For example, you break a window when trying to move a piece out of the home. If any of these damages occur, you might have a duty to replace the item, repay the client or both. You might even face legal action by the client. Any such loss might create particularly high cost burdens. You might even put your business’s finances or assets on the line trying to reach a settlement. Thus, you might want to use your commercial insurance to help ease some of this burden. If you have property damage liability insurance, you can often file a claim for damage to a client’s possessions. This protection exists to cover damage you cause to others’ belongings. So, since you will handle a lot of client belongings in your business, make sure you have this coverage. Most policies will have financial limits. Therefore, make sure you have enough to cover the value of most items in your care. This will likely amount to several hundred-thousand dollars. You’ll naturally not want to have to file a property damage liability claim. Create a plan to protect client belongings, and you can often reduce such chances. Your safety practices will likely vary. However, careful handling should remain front and center. Only follow tried-and-true practices when repairing furniture. Never place these items in harm’s way and make ample use of anchors and shields to keep them safe. With attention to detail, you’ll likely create a better degree of safety for items in your care. When you have liability insurance, you expect it to protect you from the harm you cause others. However, liability policies can only go so far. At times, this means they won’t cover all your losses. You’ll still want protection, nonetheless. This might mean investing in commercial umbrella insurance. What are these policies? What will they cover? Commercial umbrella insurance is critical in cases resulting in high liability losses. So, carefully consider how your coverage can help your business. All basic commercial liability policies have financial limits. Thus, if you face a financial claim above these limits, you’ll might have to pay out of pocket for the excesses. With umbrella coverage, however, you’ll get extra funds for hangover losses left by your original policy limits. Umbrella coverage, because it provides more money, will often prove instrumental to solvency. Coverage can also insure liabilities not covered by your standard insurance policies. Therefore, protection often offers more security in the end. If someone gets hurt in your business, coverage can help you pay their medical costs. Umbrella insurance can come in handy in case these costs exceed your liability limits. If you damage your clients’ property, this coverage can help you repay their losses. Extra umbrella coverage might help if you damage exceptionally-valuable items. Professionals like accountants, lawyers or doctors often carry this coverage. It covers the damage you cause your clients, which often prove expensive. Many umbrella policies will often cover extra losses. If your company vehicles cause an accident, the harm to others could become costly. With umbrella coverage, losses above the cost of your existing commercial auto liability coverage can have coverage. You might accidentally commit defamation, libel or slander, either spoken or printed. You’ll often need a specific liability policy in your commercial plan for these risks. In case you have exceptionally costly losses, see if your umbrella coverage will help. Keep in mind, umbrella insurance is a fluid world. Therefore, policies will vary in what they cover. Some might not include all the coverage listed above. Therefore, you should take a close look at your commercial liabilities. Ensure any umbrella policy you obtain pertains specifically to your industry and operations. Don’t forget, these policies will have financial limits as well, so ask your agent to increase coverage as necessary.